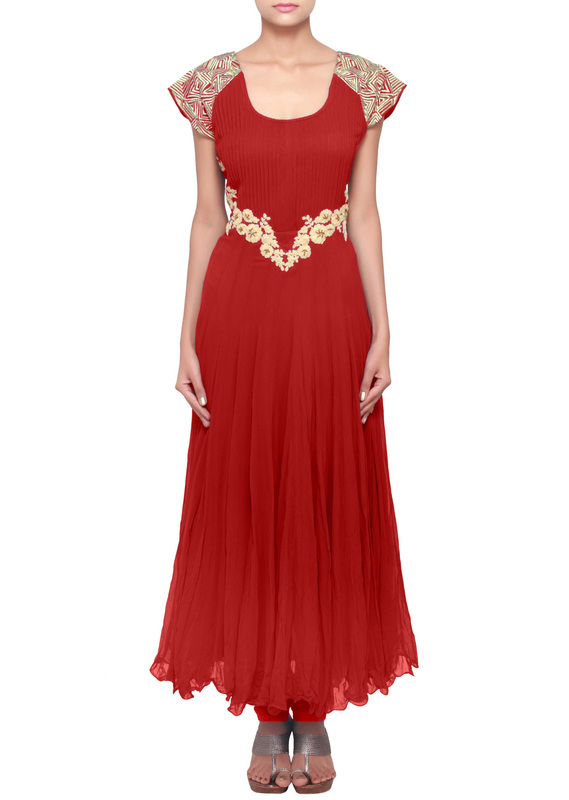 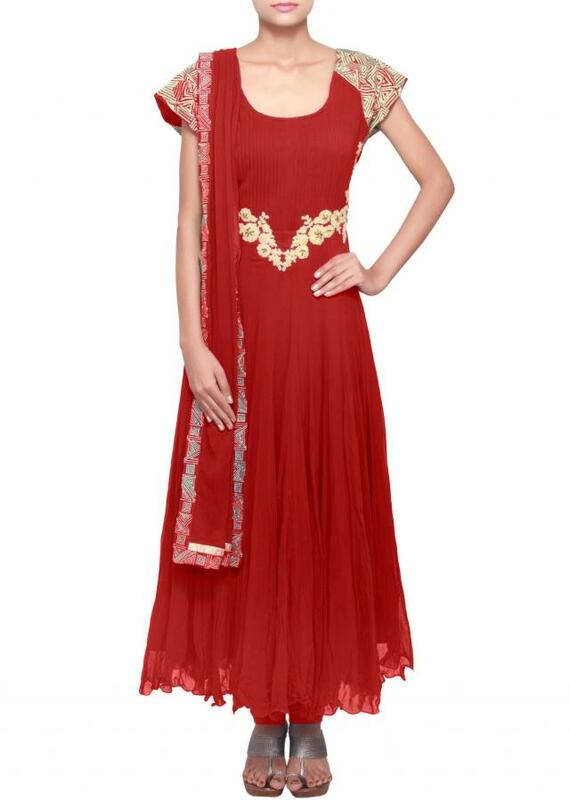 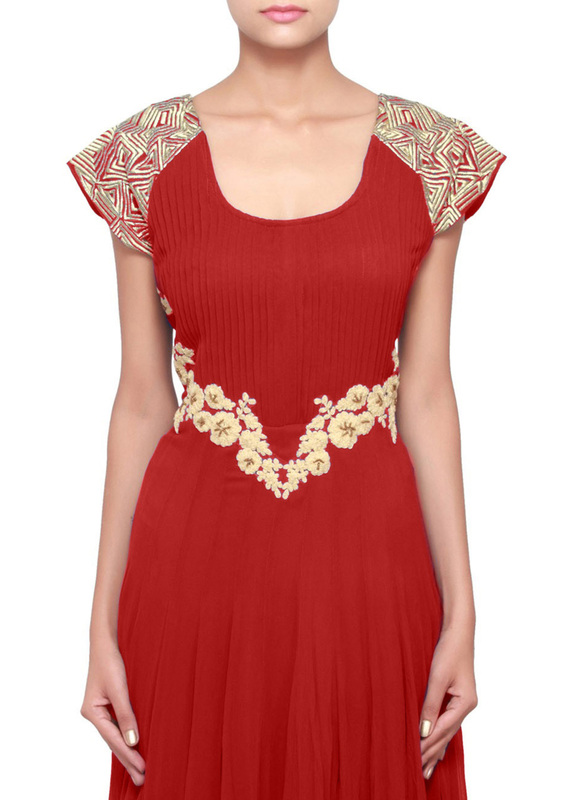 Anarkali suit featuring in Red georgette. 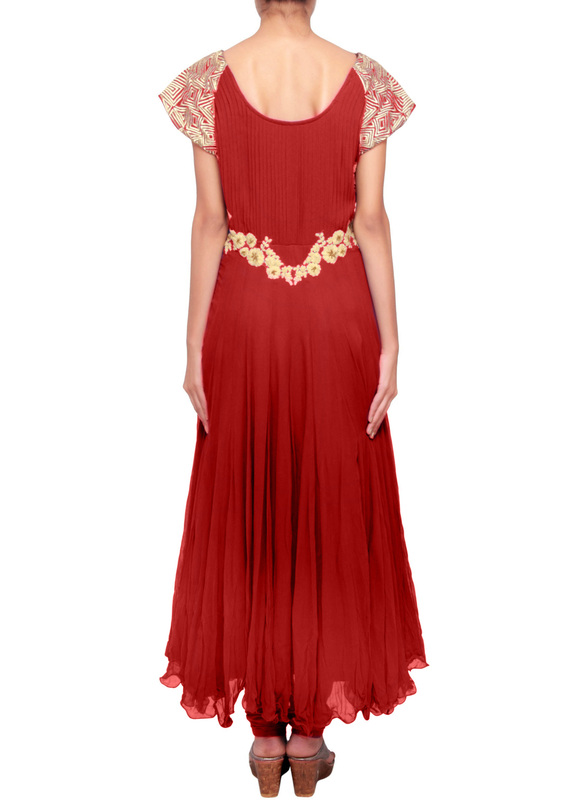 Neckline and waist line are embroidered in zari and thread work. 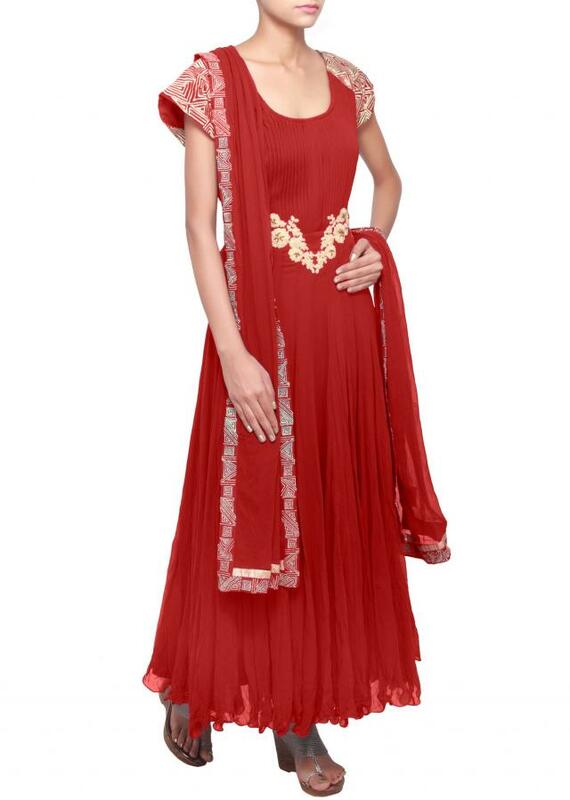 Churidar is in red lycra and dupatta in red chiffon.